Upon their departure from the USA in 1923 the Roerichs left there devoted disciples-employees and stable, fruitfully working institutions. From Kullu where the family settled in 1928 they conducted a constant correspondence with the co-workers in New York, exchanged information, advised and instructed them. 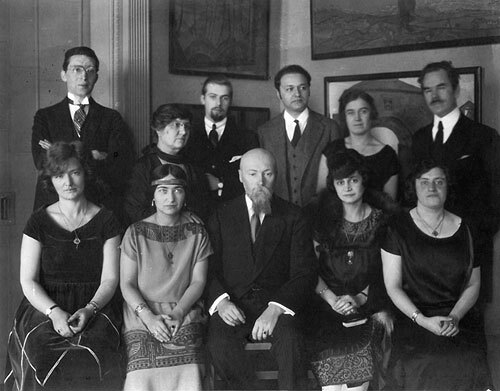 The Roerich's still were the active members of the museum Board of Directors, and Urusvati Institute remained a branch of the museum. 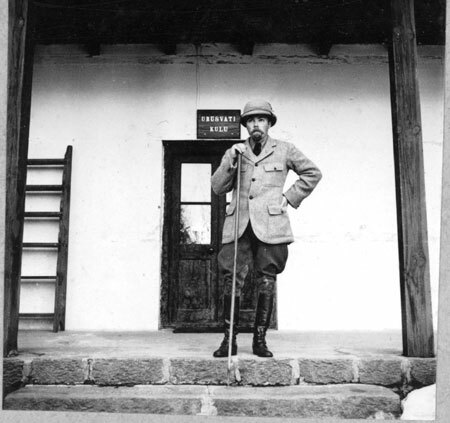 George Roerich – director of «Urusvati» Institute. Courtesy of N. Roerich Museum, New York. The first group of Roerich disciples consisted of Sinaida Lichtmann and her husband Maurice, her mother Sofie Shafran, journalist Frances Grant and her friends Louis and Nettie Horch and also Esther Lichtmann (Maurice's sister). All Roerich's organizations at that time were launched and headed by this small group of enthusiasts. For about a decade Louis Horch almost single-handedly funded Roerich's work. This, unfortunately, gave rise to a future conflict that in the second part of 1930-s led to collapse of the biggest part of such prominent spiritual and cultural activity. Louis Horch possessed the letters, signed by Nicholas Roerich, proving that all money provided by Horch was given against the pledge of the museum building and its contents. Therefore when the Horchs betrayed the Roerich family and turned away from them, they managed to win all court hearings. The building, all paintings and other collections were claimed their property. Georgii Grebenshchikov. December 7, 1924. Courtesy of N. Roerich Museum, New York. 1924.